March 18 - 22 in Everett, WA; May 6 - 10 in Appleton, WI; and September 23 - 27 in Dover, NH. This course has been approved for the following certification/re-certification training credits: the IAI Crime Scene Certification Board - 40 and the IAI Forensic Photography Certification Board - 2. ​Modern investigators are frequently faced with the investigation of incidents involving the discharge of firearms. Whether the incident is a criminal act, an act of self-defense, or the use of deadly force by law enforcement, the outcome of these investigations often has far-reaching consequences. It is essential that investigators effectively and accurately analyze these scenes so facts surrounding these incidents can be demonstrated in a court of law or where otherwise required. 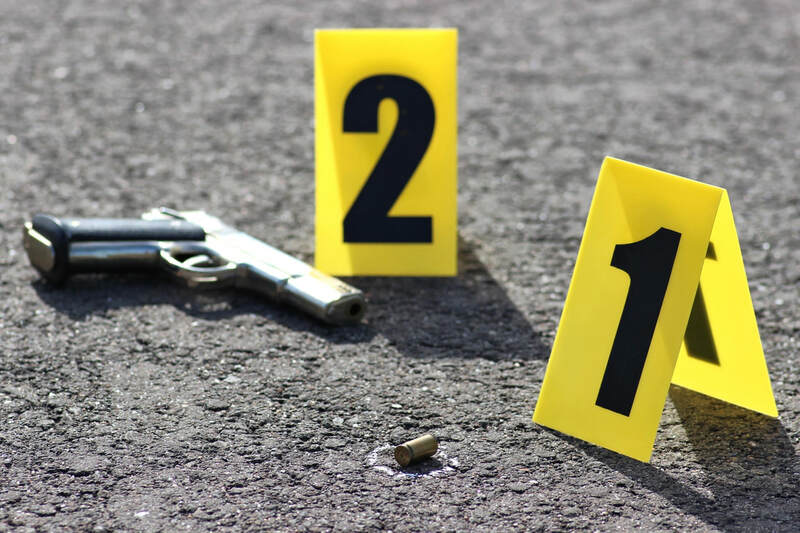 This comprehensive 5-day (40-hour) course is specially designed for case officers/investigators, forensic technicians, crime scene analysts, and others involved in shooting incident analysis. Through both lecture and practical exercises, students will learn and practice shooting scene reconstruction methodologies and evaluate positions and evidentiary relationships between the shooter, scene, victim and other evidence. All main concepts are reinforced through hands-on practical exercises using historically-based case scenarios. * Includes exercises conducted at a shooting range. Course is designed to develop knowledge and hands-on experience for shooting incident scene analysis. Prior investigative or crime scene experience and attendance at a previous Crime Scene Reconstruction Course is recommended but not required. Attendees should bring a camera for documenting evidence and an electronic device with USB connection, preferably a laptop computer, to access and save digital handouts, case materials, and fillable forms used in lecture and practical exercises. *Demonstration and analysis of bullet interactions with various materials including glass, metal, concrete, wood, motor vehicles, bone and dirt. Commonly held perceptions will be challenged. Booking Info: Call the hotel and mention the Johnson County Sheriff’s Office or Booking Code JCS to receive the special rate.